I can build a robot to do what it is suppose to do. 4 I can teach how to build a robot to do what it is suppose to do. 3 Without help, I can build a robot to do what it is suppose to do. 2 With a little help, I can build a robot to do what it is suppose to do. 1 I need a lot of help building a robot to do what it is suppose to do. Form discussion circles and describe to your learning partners the meaning of something you learned about building robots. 1. Talk about why you think your opinions about building robots make sense. 2. Get ideas from others about building robots. 2. You can describe the meaning of what you learned about building robots today. I can build a bridge to solve a problem. 4 I can teach how to build a bridge to solve a problem. 3 Without help, I can build a bridge to solve a problem. 2 With a little help, I can build a bridge to solve a problem. 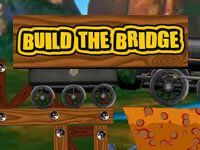 1 I need a lot of help building a bridge to solve a problem. 1. Talk about why you think your opinions about bridges make sense. 2. Get ideas from others about building bridges. 2. You can describe the meaning of what you learned about building bridges today.